Hopefully with every Corporate Emcee or Master of Ceremony assignment you do, you have time to ask these essential questions to your client before the event. This can be face to face or via a phone briefing. The earlier this is done the better as it allows you to prepare more comprehensively for the assignment and it allows the client to attend to things that they may have overlooked. Remember, your job as the Master of Ceremonies is to help the event run successfully. It’s not just your time “onstage,” you are now a vital part of the team. Your expertise, advice and tips are part of the package. Every time an event organiser or client says – “oh thank you, I hadn’t thought of that,” you know you are doing a great job. As the Master of Ceremony, you often need to help with Question & Answer Sessions. Are Speakers expected to answer questions from the floor after their presentations? Do you have roving microphones for the questions? Is this Q&A part of their allocated time? Q&A is a vital component of interactivity and engagement at any event. Some speakers generate lot’s of questions. Some will only generate blank stares. Some speakers, like politicians, will try and avoid Q&A. Discus with your client what you are trying to achieve. A strategy I often use with Q & A, as the Emcee, is to be very involved with it. If I am able to, I will often get up beside the speaker if they wrap up and ask for any questions. I can then lead a round of applause for the speaker first and then call for questions. This puts YOU firmly in charge! 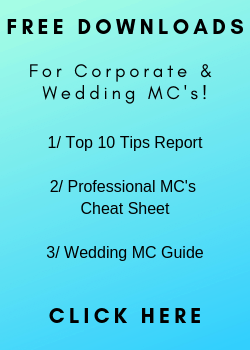 Remember – The Professional MC’s Cheat Sheet, contains 20+ Questions you can ask any Speaker or Presenter. It’s a free Download. This may seem to be a simple question, but working to a crowd of 500 is very different to working to a crowd of 50! You need a different energy level, different content, perhaps a different outfit. The sooner you can start planning this the better. Also, visualising yourself in front of the appropriate number will help you get comfortable with the event and prepare you for successfully running it. 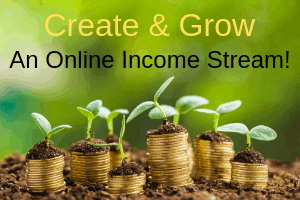 We have provided plenty of training for you on this topic, both in the Resource Manual and in the Video Series. Learn to take their Bio and turn it quickly into a great Introduction. 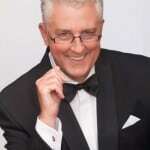 You will quickly learn that most professional speakers should provide an Introduction for you. If they do, use it as written. 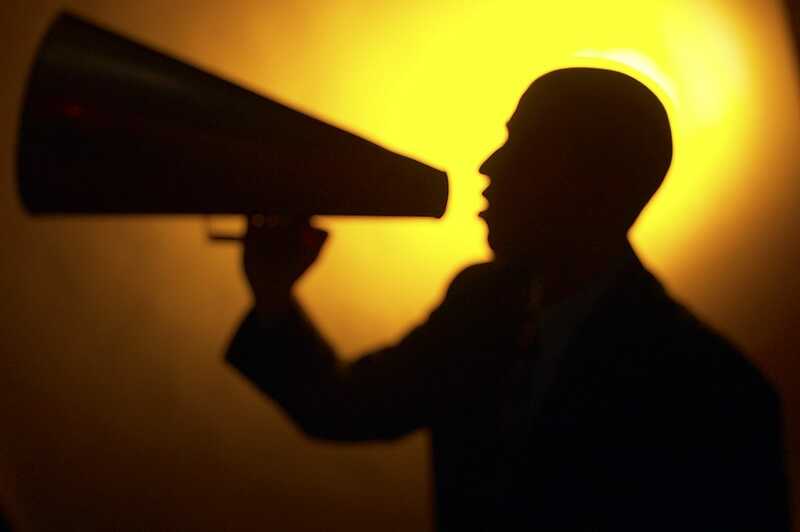 How Scripted would you like the Master of Ceremony to be? Some clients will give you a complete script. They might require a rehursal and even get you to use a teleprompter. This is often the case for Awards Night Scripts and Product Events. Other clients will just provide some bullet points and expect you to write an MC Script around those. Some will give you nothing. So bring this question up early so you know how much work is involved. It’s especially important for the Welcome. Are their any VIP’s / Sponsors that must be thanked? Any Protocols that must be followed. Sometimes a committee member or board member might speak at an event, but they don’t get a gift. Sometimes a sponsor might speak as part of their sponsorship package, they probably don’t get a gift. It’s important to know who’s getting gifts and who’s not as there might be an exact number of gifts to be given out. Giving out gifts is usualy done as part of the Thank You. Technology has given us a number of new ways to communicate at Corporate Events. In the past we would exchange business cards and follow up with a phone call. Now, there are many diferent ways and as the Emcee we need to be up to speed with all of them. The “Back Channel” is mostly a specific Twitter Hashtag for the event. If you are not up to speed on using Twitter at an event, then now is a good time to do it. More and more events have an official HashTag and encourage people to use it. There are plenty of tutorials online. You maybe expected to explain it to delegates and read out tweets during the event. Likewise, many events have their own apps that you will be expected to know your way around. The sooner you start playing with them the better. I also like to facilitate people getting connected on LinkedIn. Is there going to be an official Twitter hashtag for the event? Do they have their own conference app? 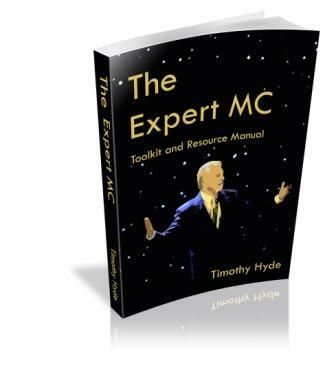 NOTE – The full comprehensive Checklist of 30 Briefing Questions is available as part of the Expert MC Toolkit & Resource Manual Bonus Modules – These Modules are the 7 Extra Chapters to the Toolkit that we are adding over the next 3 Months. Previous post: BWC is here!